One of the fastest growing fields of technology— a field of astounding recent achievements and even more ambitious hopes—is biomedical engineering. Laboratory instrumentation, medical imaging, cardiac pacemakers, artificial limbs, and computer analysis of the human genome are some of its familiar products. Defined as the use of the principles and techniques of engineering to solve problems in biology and medicine, biomedical engineering today holds a prominent place as a means of improving medical diagnosis and treatment, as a business, and as an academic discipline. Yet 50 years ago it barely existed. This Professional Group on Medical Electronics, as it was called, grew steadily and expanded its area of interest. In 1963 the IRE and the American Institute of Electrical Engineers (AIEE) merged to form the Institute of Electrical and Electronics Engineers (IEEE), and the IRE Professional Group on Medical Electronics merged with the AIEE Committee on Electrical Techniques in Medicine and Biology. Over the years since, the IEEE Engineering in Medicine and Biology Society (EMBS), while growing into the largest international member-based society of biomedical engineers, has made, through its meetings, publications, and other activities, invaluable contributions in the advancement of the field. The Society, under the leadership of Past Presidents Banu Onaral and Andrew Szeto and current President Henrietta Galiana, has funded and directed a history project in 2002, the principal products of which are a narrative history and a set of oral-history interviews. At the 1951 IRE convention there was a symposium on dc amplifiers, and the symposium elicited considerable discussion concerning the recording of bioelectric potentials. This gave L.H. Montgomery, a professor at Vanderbilt University, the idea that there might be sufficient interest to form an IRE Professional Group on Medical Electronics. (In recognition of the rapid ramification of electronics following World War II, there emerged within the IRE, beginning in 1948, so-called Professional Groups devoted to particular areas of electronics.) Montgomery wrote to a number of colleagues and then arranged with Vladimir Zworykin at the RCA Laboratories in Princeton, New Jersey, to hold a meeting there to discuss the idea. (Zworykin, famous for his work in developing television, was a pioneer in electron microscopy and by the 1950s had become primarily concerned with medical applications of electronics.) The meeting was successful in that a petition to establish a Professional Group was started—Zworykin was given the honor of being the first to sign it—and then circulated by mail. The petition was presented to the IRE on about 1 February 1952, and the IRE gave its tentative approval on 7 April 1952 pending minor revisions to the constitution for the Group. An early action of the newly formed IRE Professional Group was to collaborate with the AIEE on the Annual Conference on Electronic Instrumentation and Nucleonics in Medicine, which, as mentioned in the previous section, the AIEE had begun in about 1948. For the conference held in November 1952 the Professional Group gave assistance in procuring papers. For the 1953 annual conference the Group sponsored the meeting, along with the AIEE and the Instrument Society of America (ISA). In 1954 the AIEE, IRE, and ISA formed the Joint Executive Committee on Medicine and Biology, which from that point on organized the annual conferences. In 1954 the name was changed to the Conference on Electrical Techniques in Medicine and Biology. Attendance and participation gradually increased throughout the decade, reaching 500 attendees and 60 to 70 papers presented. The PGME was led by an Administrative Committee, headed by a Chairman, a Vice-Chairman, and a Secretary-Treasurer. The other members varied in number from three to 12, and there were also, from 1956 on, one or more Advisory Members. Table 1 is a list of the chairmen during the 1950s. Membership in PGME rose from about 500 at the end of 1952 to more than 2000 in 1959. The first regular publication of the Professional Group, which began in 1952, was a newsletter. In November of the following year the IRE Transactions on Medical Electronics began; Julia F. Herrick was the first editor, and she was succeeded by Lee B. Lusted in September 1959. Local branches of the Professional Group, called Chapters, began to form. The first two, both approved on 7 April 1953, were organized by, respectively, Wilson Greatbatch of the Buffalo-Niagara IRE Section and A.J. Morris of the San Francisco IRE Section. By the end of 1955 there were Chapters in the Connecticut Valley Section, the Los Angeles Section, the Philadelphia Section, and the Washington, DC, Section. Nine more Chapters were established by the end of the decade. There were other organizations concerned with biomedical engineering. Besides the AIEE, there were other engineering societies, the Instrument Society of America, and medical organizations. There was increasing interest in biophysics, and in the United States a biophysical society was established in the mid 1950s. In addition, there were some specialized organizations, such as the American Society for Artificial Internal Organs (hemodialysis was one of its important topics). Yet PGME held a prominent place. In 1956 Otto Schmitt wrote that “PGME has been the primary outlet for all of biophysics in the fields of engineering and applied sciences and so carries a much greater responsibility than is implied by medical electronics alone. …because professional medical societies have by some chance been less aggressive in promoting biophysics while engineering groups have been exceptionally active, most of those potential biophysicists are finding themselves associated with PGME and, to a lesser extent, with comparable affiliates of other engineering societies.” And at the end of the decade PGME was the largest organization concerned with biomedical engineering. Similar organizations were formed in other countries. In June 1957 Zworykin convened an international conference on medical electronics in Paris. This led to the establishment of the International Federation for Medical Electronics the following year, with the IRE PGME as one of the member societies. It was also in the 1950s that the first medical engineering programs were set up. R. Stuart Mackay set up a medical engineering program between the Berkeley and San Francisco campuses of the University of California, and in 1956 the first student completed his doctorate. Herman Schwan began training graduate students in the early 1950s at the University of Pennsylvania. Master’s programs were set up at Iowa State University in 1957 and at Drexel University in Philadelphia in 1959. Also, in Britain biomedical engineering emerged as an identifiable discipline in the 1950s. At the merger it was decided to carry over to the IEEE the IRE system of Professional Groups. The IRE Professional Group on Medical Electronics became the IEEE Professional Technical Group on Bio-Medical Engineering, the name change reflecting the fact that many members, particularly former AIEE members, were concerned with nonelectronic topics. The members who served as editor of Transactions during the 1960s were Lee B. Lusted, Edward F. MacNichol, Robert L. Schoenfeld, and David Geselowitz. The diversity of work in biomedical engineering and the diversity of background of the people contributing to this field made it difficult for a single organization to represent everyone. In the 1960s there were efforts by some leaders of the PGME to achieve greater autonomy within the IEEE in order to accommodate a more diverse membership. These efforts met considerable resistance, and partly as a result the Biomedical Engineering Society was formed in 1968. Because there were quite a few professional groups, several umbrella organizations were established to facilitate cooperation. 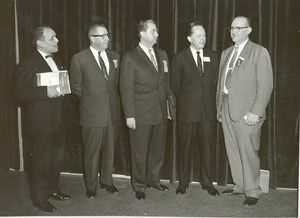 In the late 1960s the Alliance for Engineering in Medicine and Biology was formed, with Pat Horner as its executive director. There was interest also on the international plane in facilitating cooperation among professional groups. The International Federation for Medical Electronics was formed, with the IRE PGME as one of its members. The first full-fledged technical conference was held in London in July 1960. In the 1960s the name was changed first to International Federation for Medical Electronics and Biological Engineering, and shortly thereafter to the International Federation for Medical and Biological Engineering. And in 1963 the International Federation launched the journal Medical Electronics and Biological Engineering. Besides professional societies, publications, conferences, and educational programs, another characteristic of the professionalization of a discipline is the formal establishment of standards. The first such activity for the PGME was that of the Subcommittee on Instrumentation, set up by the PGME Committee on Electrocardiography. In 1967 the Subcommittee published a set of standards for ECG, and industry paid attention to these standards. An international milestone occurred when the International Electrotechnical Commission (IEC) established the IEC Technical Committee 62: Electromedical Equipment. TC62, which held its first meeting in 1968, concerned itself with all aspects of standardization of biomedical equipment. At the beginning of the decade only a handful of universities had formal programs in biomedical engineering. 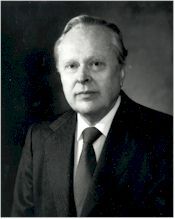 At the University of Pennsylvania in 1960, Herman Schwan obtained university approval for an independent Ph.D. program in biomedical engineering. In the United States the number of universities having a recognized program increased from 40 in 1965 to 180 in 1971. The range of biomedical engineering increased. For example, in 1963 MIT began offering a course titled “Chemical engineering in medicine,” which may have been the first such course in the United States. Universities also began to offer undergraduate programs in biomedical engineering. The 1960s stand out in the history of biomedical engineering as the decade in which computers became widely applied in research and health care and as the decade in which biomedical engineering was established as an academic discipline. In the 1970s there was much concern about the dangers of microwave ovens, heightened by a great deal of misinformation in the popular media. This prompted leaders of IEEE, specifically members of the Technical Activities Board, to form in 1972 the IEEE Committee on Man and Radiation (COMAR) “to have a voice within IEEE to the media, the general public, and the Congress about what the facts are about microwaves.” In March 1973 the Consumers’ Union announced their decision not to recommend any microwave ovens because of doubt about their radiation safety. In the spring of 1974 the IEEE held a press conference with COMAR Chairman Mark Grove to announce opposition to the CU position. There was caution within IEEE, in part because its position might not be seen as disinterested, since some IEEE members had financial stakes in the microwave oven business. In later years COMAR studied and issued statements about radiation from cellular ground stations, dielectric heaters, electromagnetic pulse simulators, police radar, and other sources. The IEEE Engineering in Medicine and Biology Society continued its growth. One indication was increased publication. In 1971 the Transactions moved from quarterly to bimonthly publication, and in 1979 it moved from bimonthly to monthly publication. It was reported at the time that “Coupled with this expansion is the policy commitment that at least 25% of the pages published be identifiable as applied, that an active program for the incorporation of tutorial and applied reviews be undertaken.” The editors of the Transactions were, during the 1970s, David Geselowitz (to 1973), Hun H. Sun (to 1979), and Theo C. Pilkington (to 1984). The highest office in the Society changed its designation in 1973 from Chairman to President. The office holders are listed in Table 4. The highest honor of the Society, the Morlock Award, (which later became the Career Achievement Award), was granted only three times in the decade. An important event was the decision by the Society to hold its own annual conference. The First Annual Conference was held 6-7 October 1979 in Denver. EMBS continued to participate in the annual conference organized by the Alliance for Engineering in Medicine and Biology. Indeed, from 1979 until 1985 EMBS held its conference immediately preceding, and in the same city as, the older annual conference. As in previous decades, biomedical engineering came to the fore with certain public-health issues. In the 1980s the fear of microwaves diminished, but concern over the use of video-display terminals (VDTs) became extreme. In 1982 there was a Congressional hearing on VDTs and RF heat-sealers. COMAR issued a position paper on VDTs and one on RF heat-sealers; the later was critical of industry’s efforts to control exposure near the heat-sealers. Toward the end of the decade the possible health effects of the electric and magnetic fields from electric power lines became a subject of widespread interest, and there were U.S. Congressional hearings on the subject on 6 October 1987 and much new research. This concern continued into the 1990s, and public fears were gradually allayed. Degree-granting programs continued to become more common. At the beginning of the decade approximately 100 engineering schools in the United States had a degree program in biomedical engineering. It was reported toward the end of the decade that there was an approximate match between the number of degrees granted and the number of career opportunity available (in contrast to the early years of biomedical engineering programs, when there were fewer positions available than trained people). In 1982 the Society inaugurated a magazine “to provide published material of broad member interest,” the first issue appearing in March of that year. Also in 1982 the IEEE Transactions on Medical Imaging made its debut. This came about through an agreement among four IEEE Technical Societies in 1980. The EMBS and the Nuclear and IEEE Plasma Science Society each undertook a one-third interest in the venture, and the IEEE Signal Processing Society and the IEEE Ultrasonics Society each undertook a one-sixth interest. The EMBS Medical Imaging Committee had, as its primary activity, overseeing the operation of the IEEE Transactions on Medical Imaging. In 1989 the IEEE Publications Committee voted to initiate the IEEE Transactions on Neural Networks, starting in 1990 as a quarterly publication. EMBS was involved as one of the Societies of the IEEE Neural Networks Committee, the sponsoring organization. The highest honor of the society, the William J. Morlock Memorial Award, was renamed the EMBS Career Achievement Award. It was granted only four times in the decade. In 1983 Eli Fromme received special recognition for service to the Society (and therefore is regarded as the first recipient of the EMBS Service Award, which was formally instituted in 1990, as described in the following section). In biomedical engineering, as in other branches of engineering, the establishment of standards is an extremely important activity. For example, in 1980 the Medical Research Programme of the European Community started a project to establish standards in quantitative ECG. The measurement database thus established became “an internationally recognized yardstick for evaluation and improvement of European, American, and Japanese ECG programmes” The EMBS Standards Committee was active, working to develop standards for a local-area network specifically for use in the health-care environment, for a Medical Information Bus (MIB), and for a Medical Data Interchange (MEDIX). As mentioned in the preceding section, EMBS had been a member of the Alliance for Engineering in Medicine and Biology (AEMB). AEMB organized an annual conference, and until 1986 EMBS held its annual conference immediately preceding the AEMB conference and in the same city. Leaders of EMBS felt, however, that EMBS was not getting its share of the profits from the joint endeavor, and beginning in 1986, EMBS held its conference apart from that of AEMB. The separation was beneficial to the Society’s financial position, but it led to the demise of the AEMB conference. The IEEE Engineering in Medicine and Biology Society reflected the increased internationalization of the discipline in its membership, as it gave increased attention to attracting and serving members outside North America (notably by the EMBS International Committee). Members from outside the United States and Canada made up 26% of the Society in 1991 and 32% in 1995, and about 35% of conference attendees resided outside of North America. The EMBS participated in several undertakings to promote biomedical engineering in Latin America, one of the most important of which was sponsorship of the Latin American Regional Council on Biomedical Engineering (known by its Spanish and Portuguese acronym of CORAL). And in 1995, EMBS, for the first time, sponsored a regional conference in India, bringing together the regional biomedical engineering community, as several other organizations were co-hosts. In 2001 EMBSheld its annual conference in Istanbul, and in 2003 Cancun, Mexico, will host the conference. The internationalization is apparent also in the EMBS leadership: in 2001 four of the seven Executive Committee officers were based outside of the United States, and the 2001 EMBS President was from France and the 2002 EMBS President is from Canada. In 1995 the EMBS Constitution and Bylaws were changed to provide one-year terms for the President-Elect, the President, and the Past President (“the three Ps,” as IEEE, which uses the same model, calls them). The presidents of the Society are listed in Table 8. The Executive Officer, Susan Blanchard, resigned at the end of 1992, and the Executive Committee negotiated a contract with the Canadian Medical and Biological Engineering Society for the services of its secretariat in Ottawa (whose executive secretary was Sally Chapman). Later in the decade the Society authorized a permanent staff, located at the IEEE offices in Piscataway, New Jersey, to assist the volunteer leaders of the Society, and in 1999 Laura Wolf was hired as EMBS Technical Activities Manager. In 1996 the EMBS AdCom arrived at a mission statement: “The Engineering in Medicine and Biology Society of the IEEE advances the application of engineering sciences and technology to medicine and biology, promotes the profession, and provides global leadership for the benefit of its members and humanity by disseminating knowledge, setting standards, fostering professional development, and recognizing excellence.” In mid decade an IEEE administrative change brought COMAR(the Committee on Man and Radiation), formerly part of the United States Activities Board, under EMBS auspices. The highest award of the Society, the EMBS Career Achievement Award, was granted nine times in the 1990s. In 1990 the Administrative Committee established a new award, the Society Service Award “to recognize those EMBS members who have given exceptional and extraordinary service to the Society”. Society publications expanded in the 1990s. In 1993 the IEEE Transactions on Rehabilitation Engineering began publication, and subscriptions exceeded 1,600 in the first year. Three years later still another Transactions was approved: the IEEE Transactions on Information Technology in Biomedicine, scheduled to begin publication in March 1997. In 1992 the EMBS Student Activities Committee began publication of the EMBS Student Newsletter, published three times a year. In the early 1990s EMBS membership grew, reaching at peak of 9,426 in 1993, but then gradually declined over the remainder of the decade, equaling 8,204 at the end of 1999. Even so, EMBS was the largest international member-based professional society of biomedical engineers. Most members, 60%, described themselves as working in industry; 15% reported an academic position, and 25% listed “other.” Among IEEE Societies EMBS ranked second in 1994 for percentage of women members (9.7%, while for IEEE overall the figure was 5.7%). Also, EMBS was the first Society to have a woman succeed a woman as President, and in 1996 three of the seven Executive Committee members were women. David Geselowitz - Chair 1999 – 2001, A Berson, Thomas Budinger, Thelma Estrin, H. Schwan and Banu Onaral Ex-Officio 1999-1999. In 2005 a two part tribute to Otto Schmitt appeared in the EMB magazine with assistance from our special guest editor Robert Patterson. Many new EMB Society chapters have also started in and around 2002 / 2003, recognising the increased development in the role of electronics and control systems in medicine. This page was last edited on 30 July 2018, at 19:57.